We depart from your own front door, join the coach and travel north via the borders to your hotel in Drymen. Welcome drinks reception before dinner this evening. Our excursion today takes us to Glasgow, Scotlands second largest city, a true cultural capital and architecturally beautiful, famed for its friendly locals and stunning Victorian history. After breakfast we set off for the delightful 16th century Duntreath Castle at Banefield. You will be met by Lady Edmonstone who will show you around their wonderful home. Afterwards, morning coffee and home baking is provided followed by time to explore the castle and the grounds to admire the Snowdrops. Return to hotel for light lunch. Today we explore the other side of Loch Lomond and take the breathtaking route over the Rest & Be Thankful to the Royal Borough of Inverary, here you can explore or take an optional visit to Inverary Castle. We depart this morning after breakfast and begin our journey home with comfort stops enroute. Please note: the itinerary is subject to change as weather can affect flowering times. 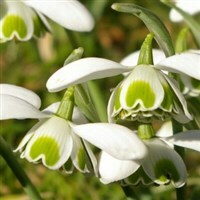 · Snowdrop visit to Duntreath Castle including tea/coffee. Disclaimer for All Inclusive with Free Bar: Under the terms of the Licensing (Scotland) act 2005, the supply of alcoholic drinks in All Inclusive Packages is not unlimited. Subject to discretion in the case of drunkenness, patrons on an all-inclusive package shall be permitted to a maximum of £17 worth of alcoholic drinks per day as part of the package. Nestling around the village green in Drymen, sensitively extended and refurbished but retaining its traditional bars and log fires  74 bedrooms all with excellent facilities. The hotel does not have a lift but ground floor rooms available on request. Commence your tour from your own front door and travel north via the borders to your hotel in Drymen. Welcome drinks reception before dinner this evening. Our excursion today takes us to Glasgow, Scotlands second largest city, a true cultural capital and architecturally beautiful, famed for its friendly locals and stunning Victorian history. Today we explore the other side of Loch Lomond and take the breathtaking route over the 'Rest & Be Thankful' to the Royal Borough of Inverary, here you can explore or take an optional visit to Inverary Castle.